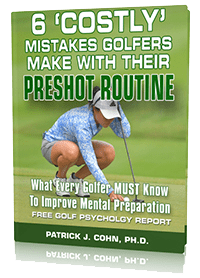 You are here: Home / Golf Psychology Articles / What Are The Yips in Golf? Have you ever heard of the term “yips” in golf? 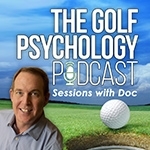 In this week’s golf psychology session, mental game of golf expert and author of The Mental Game of Golf, Dr. Cohn, responds to a question from Darin who wants to know more about the yips in golf. COHN: Most people that know golfers have seen golfers miss putts from 2 feet or 1 foot. Or if you’ve ever seen someone like Charles Barkley swing a golf club, he has what’s called the full swing yips. Or Tiger Woods went through a period in his career where he had the chipping yips. COHN: A lot of golfers describe it as if someone has control over their arms like they lose full control of their arms and then they jerk and stab the ball. 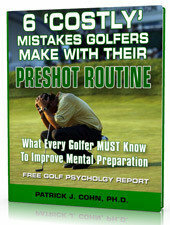 COHN: It can affect you on the putting green typically with short putts within 4 feet or more. It can also affect golfers with chipping. But where do the yips come from?